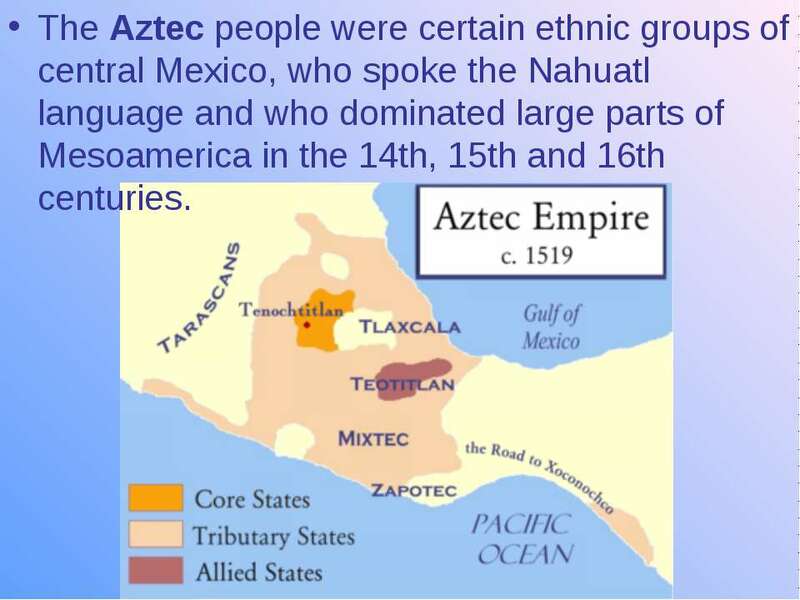 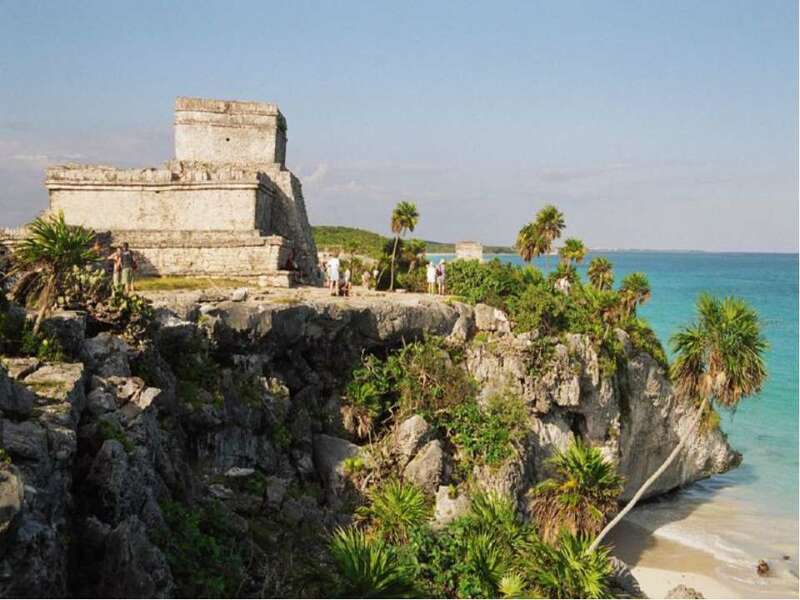 The Aztec people were certain ethnic groups of central Mexico, who spoke the Nahuatl language and who dominated large parts of Mesoamerica in the 14th, 15th and 16th centuries. 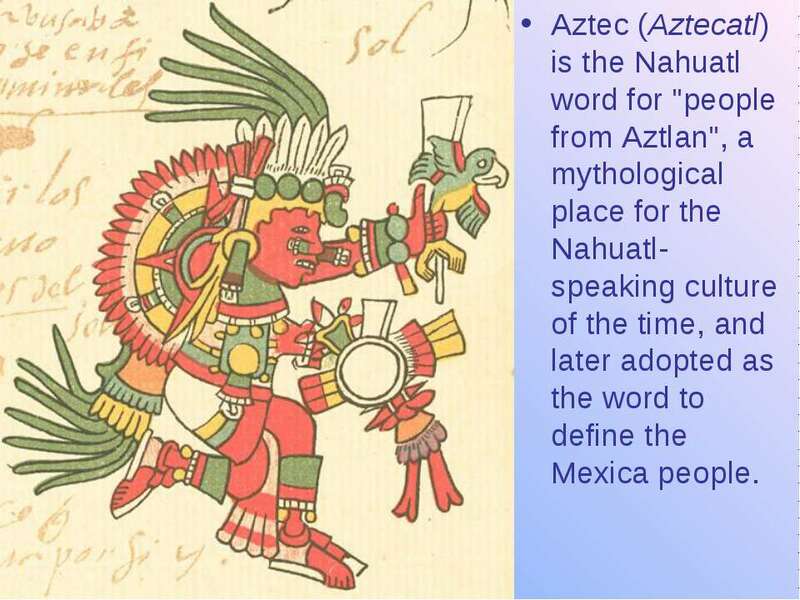 Aztec (Aztecatl) is the Nahuatl word for "people from Aztlan", a mythological place for the Nahuatl-speaking culture of the time, and later adopted as the word to define the Mexica people. 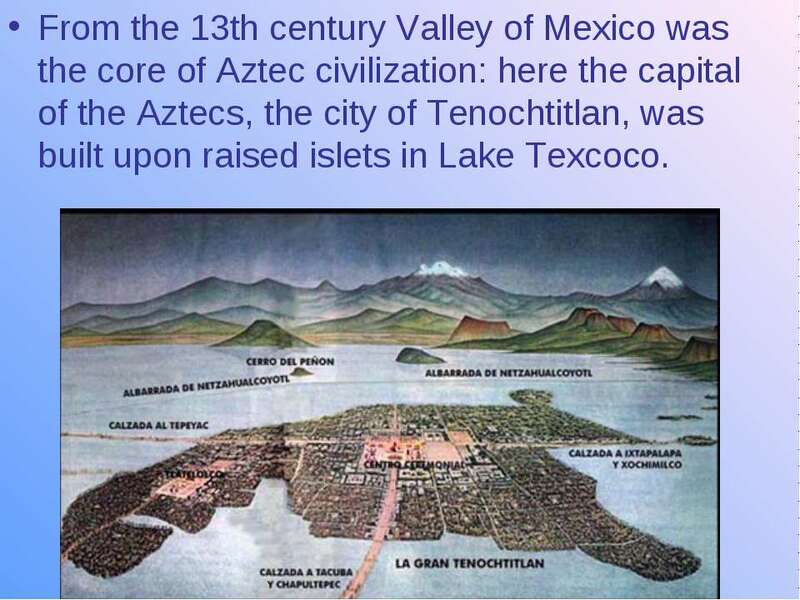 From the 13th century Valley of Mexico was the core of Aztec civilization: here the capital of the Aztecs, the city of Tenochtitlan, was built upon raised islets in Lake Texcoco. 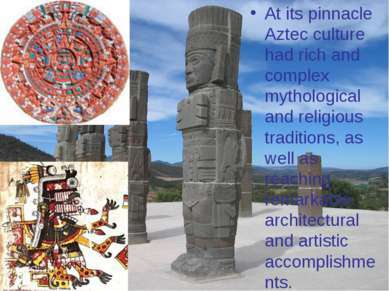 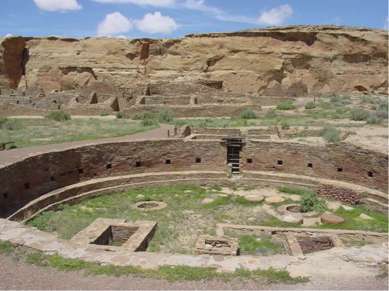 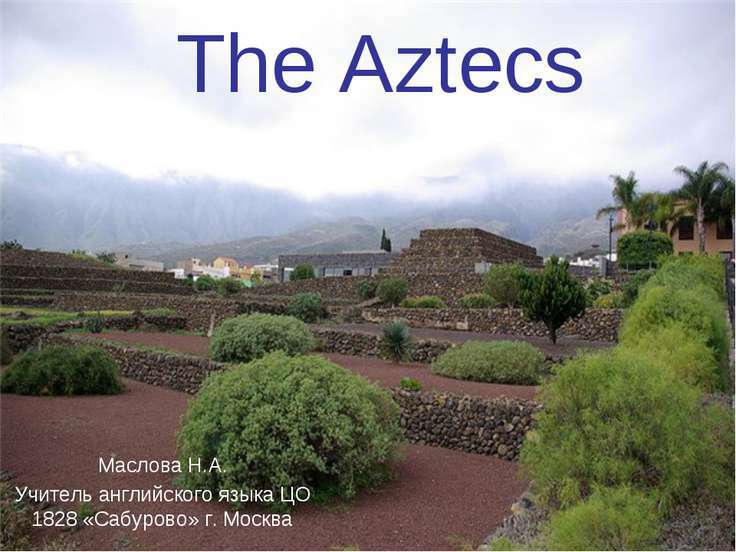 At its pinnacle Aztec culture had rich and complex mythological and religious traditions, as well as reaching remarkable architectural and artistic accomplishments. 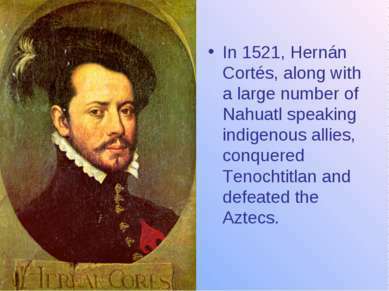 In 1521, Hernán Cortés, along with a large number of Nahuatl speaking indigenous allies, conquered Tenochtitlan and defeated the Aztecs. 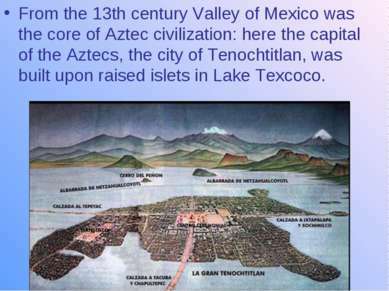 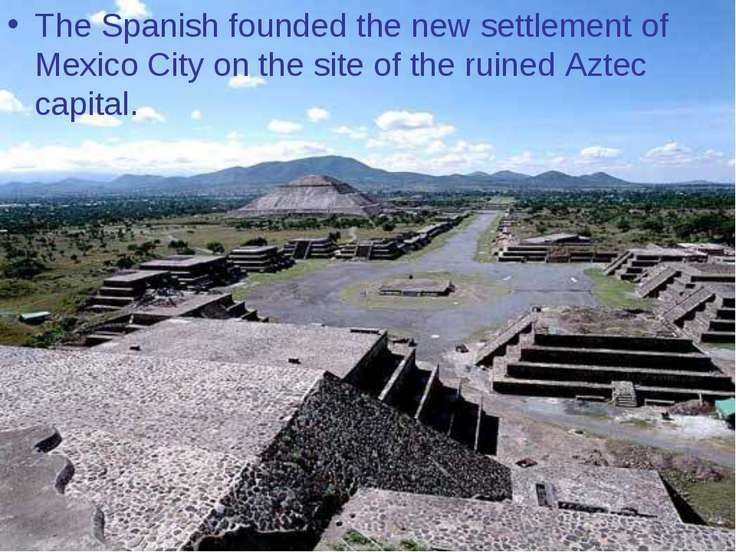 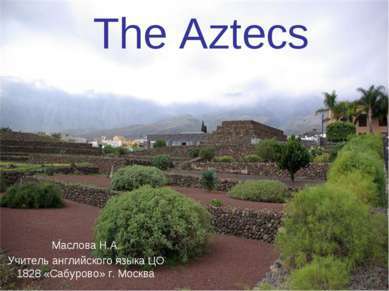 The Spanish founded the new settlement of Mexico City on the site of the ruined Aztec capital. 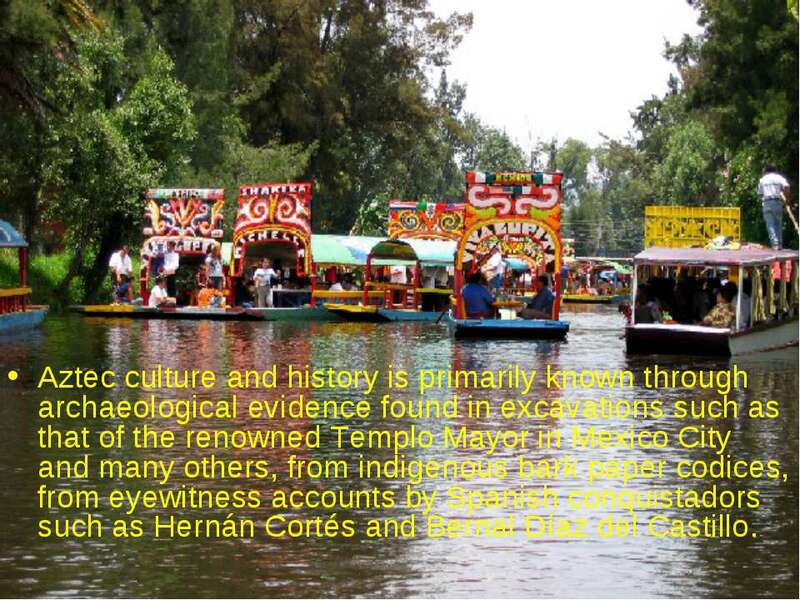 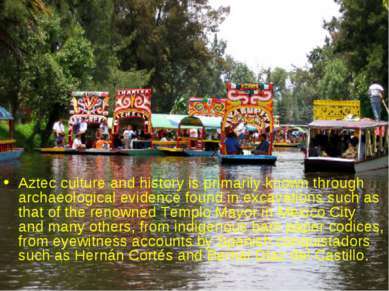 Aztec culture and history is primarily known through archaeological evidence found in excavations such as that of the renowned Templo Mayor in Mexico City and many others, from indigenous bark paper codices, from eyewitness accounts by Spanish conquistadors such as Hernán Cortés and Bernal Díaz del Castillo. 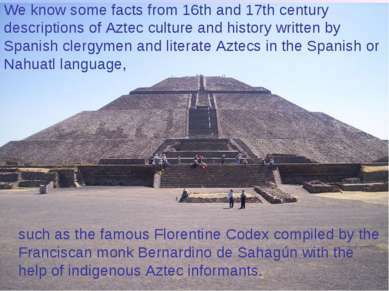 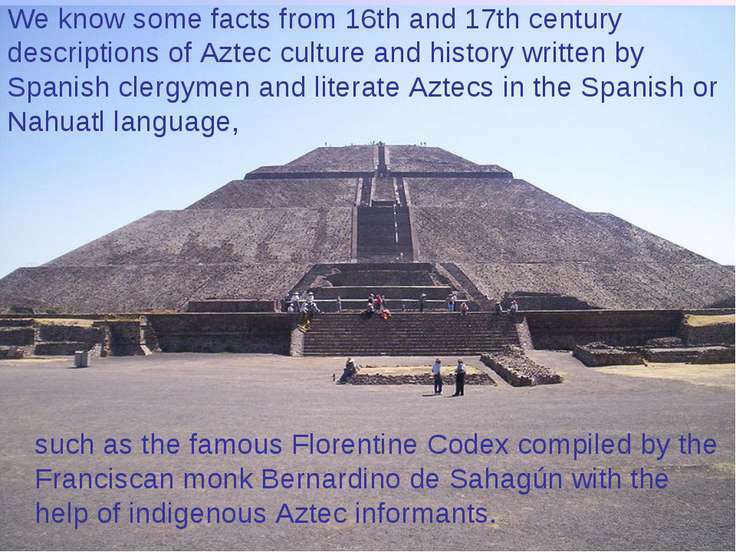 We know some facts from 16th and 17th century descriptions of Aztec culture and history written by Spanish clergymen and literate Aztecs in the Spanish or Nahuatl language, such as the famous Florentine Codex compiled by the Franciscan monk Bernardino de Sahagún with the help of indigenous Aztec informants.